Product information "German Map with 16 state crests 0,5 liter beerstein"
On the front is a German map with the 16 state crests surrounding it. On the sides it features the hops and malts. 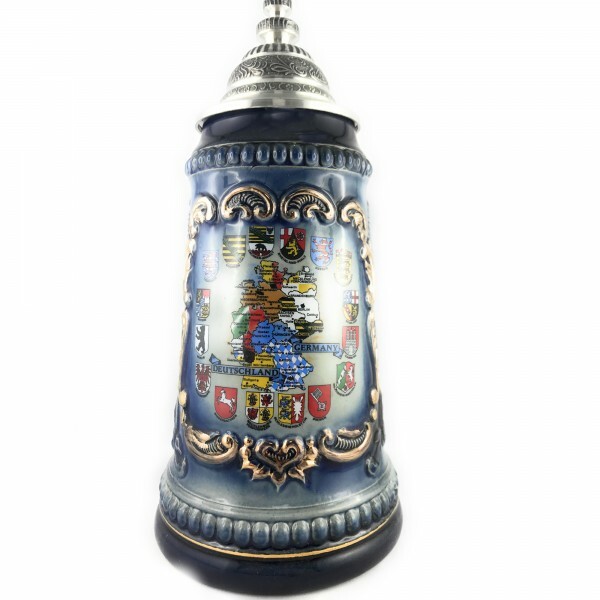 Related links to "German Map with 16 state crests 0,5 liter beerstein"
Customer evaluation for "German Map with 16 state crests 0,5 liter beerstein"